Spring 2018 is almost here and prices are still pretty good in many cities. If you’re a homeowner looking to sell your home in Toronto, San Diego, New York, Seattle, Denver, Los Angeles, San Francisco and Miami you have a chance to sell it for a very respectable price. After closing their sale, the homeowners will have a moment to reflect on it. The reason for that is, when the emotional attachment to the home was broken, they suddenly realize it was just a house and that quite likely someone else valued it even more than they did. There are buyers out there who would be in ecstasy if they found your home. You need to take your time and reach those people. When you do, you won’t care about agent commissions, paperwork, and showings. You’ll get a life-changing price for your home and so you should after the blood, sweat and tears you shed to pay it off. The best hours, days and years of your life went into paying that house. Get what you deserve!! I know, you need to sell fast to cover your new home purchase or to get rid of your ex asap. Perhaps there are other solutions that will give you time to sell now and buy later. That takes the pressure off so you can make good selling and relocation decisions instead of reacting under pressure. I’ve seen divorced couples keep calm and sell their house professionally and avoid selling for way less. There are vultures in the market waiting for these opportunities to buy cheap. Instead, it’s wise not to get overwhelmed with emotion. Just like the cash in your retirement savings account, emotions will disappear. Selling your home intelligently is the smart way to go. So many benefits await. As with the happy old couple in the photo above, you’ll be satisfied with your decision. Good for your self-esteem and good for your bank account. And retirees can’t possibly have enough money. You’re going to last 25 to 30 years more with no pay check!! Yet with this sudden increase in house listings, buyers will have better selection. You’ll need to do more to win that big price. You can, if you do it right. From how your MLS listing is worded to the multimedia presentation of your home, to how your home is improved and presented in person, there’s much you can do to boost your selling price. SELL THAT HOUSE!! for more. So how you can help sell your home for a higher price? The key factor to achieve way over asking price or initiating a bidding war: Internet marketing. 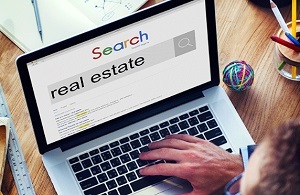 Hire an agent who works with a visibly good digital real estate marketing specialist. Remember that real estate is a complex business and Realtors hate doing their own marketing. 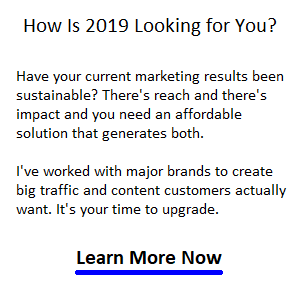 If they are doing their own digital marketing, they’re probably not engaging their pool of prospects and expanding it. Your Realtor needs to be the selling mastermind with total focus on interacting with as many potential buyers as possible. Hire an agent that respects marketing and isn’t a “transaction specialist.” A real estate lawyer and mortgage agent do the transactions. Your agent needs to impress you with the power of their reach and persuasion. They must be a selling strategist or you should find another agent. More Leads and Prospects Please! Consider what creates a good offer and a record breaking offer: more prospects. That’s right, the more people know your home is for sale, the more bidding pressure there will be, and the more likely the home will be sold for its true value. When you sell fast, or have fewer buyers, it means the market doesn’t know about your house for sale. You won’t be getting true market value. True market value isn’t comps or your home market evaluation. That’s the price that other unwise buyers had to settle for. That’s not you. If you don’t get impulsive or desperate you can get a big price. And don’t be too impressed with over asking. With homes selling $1 million overasking price, all cash, the asking price is meaningless. Tell your Agent you won’t hire them, unless they hire me! The overall strategy is to: 1) improve your house, 2) use a digital marketing Realtor, 3) and let as many buyers across the country know you’re selling. Because it may be income property investors who will pay more for your old property, you want to hire a professional to help sell it. The additional cash from doing it this way could amount to hundreds of thousands of dollars. 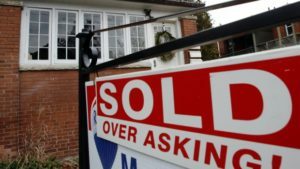 One realtor recently got $1 million over asking for an old house in Toronto. But hold on, not all Realtors have the top selling power. I hope you don’t assume that going with the most well known Realtor in town is the only way to go. Because Realtors are having an easy time selling right now since there’s so many buyers. It may look like they’re doing a knockout job, when in fact, they often rely on the MLS and their small list of potential buyers. “Comps” or market evaluation might be code words for “sell fast.” Keep in mind, that competent Realtors know about the Internet, Google, Facebook and top notch content. Even top Realtors rely on the small pools of contacts of their team. But that won’t get you a big over asking price. For that, you need strategic digital real estate marketing and pull in big crowds of qualified buyers. While you might thinking that selling fast involves a quick paint job and covering up stains on the carpet, the real strategy is good marketing. And if you’re holding off paying a Realtor a commission because you resent all the selling costs and their 5 to 6% commission, relax. If you choose a digital real estate agent, they will give you a fantastic return on your investment. Those who shop the MLS listings are often bargain hunting. Are they going to have the resources to step up the price? Not likely, which is why you need to expand your reach and make your home look like a million dollar listing. A digital Realtor offers much better reach to buyers all over the planet and throughout your city and can elevate the value for the buyer. Hire a modern professional and you’ll be rewarded many times over with a no hassle transaction from a qualified, eager and willing buyer. No haggling and your old house will sell fast enough. Don’t sell your place in 3 days. You can reach tens of thousands or perhaps hundreds of thousands by being patient and selling it professionally. This blog enjoys a rate of 1 Million visitors per year and you are one of them! I reached you and I can reach anyone who goes online. Get smart about digital marketing and you’ll get more than you could hope for.